What to write on blog? Note that, this is not about a list of topics and ideas but a mini guide to help you pick your own path. Breaking down few steps into small chunks below. The first and foremost action for you is to find out the answers to these main questions to get started. Don't go on writing anything that doesn't come under the answer of these questions, ever. Because that's never gonna benefit you in long run, neither to your audience. What are your goals? You have a blog, but don't have any goal behind it. Then we can say that you may be confusing the reason to blog altogether. You must hold an intention and promote your content solely on the basis of it. What topics you feel easy and comfortable writing about? If I give you a paper and pen to write anything you can, what you'd write? what you'd passionately talk about without balking? What topics you think are easy going for you? What topics personally connect with you and your expertise? Having knowledge and expertise about what you have to write, make a big deal connecting with your readers. Also, when the topic connects with your skills and experience, it will be a lot more easier and fun to write on. I made the jump to start food blogging in 2013 because that's what I enjoyed doing, talking and learning about. Frankly, that was an only solution available when I baked 3 times a week to kill boredom. And you know what? I figured out so much from just starting a blog to document the recipes. I figured I have a knack for design and business in me. It led me to experience things that I would have not been doing if I hadn't started at the first place. Choosing the blogging platform, naming + branding the blog, moving to Blogger and touching HTML/CSS was few of many steps that taught me so much and knock my interest up! The point to take here is, give it a try. You will never gonna know anything by sitting on your work desk all day and over thinking about it. Start with finding answers to the questions explained above and you'll find a right direction to go with, you'll eventually find you niche, your mission on the way. You'll get there for sure and adjust as you go. Start writing, exploring and be true to yourself. Remember, not everyone get it right at once, even the big bloggers go through several rebrands and that's okay. Nothing stuck forever, people evolves their ideas and mission do too. Know what purpose you hold behind your blog. Know what you are passionate about. Know what you are skilled at. Make a list of topics concerning above 3 points. 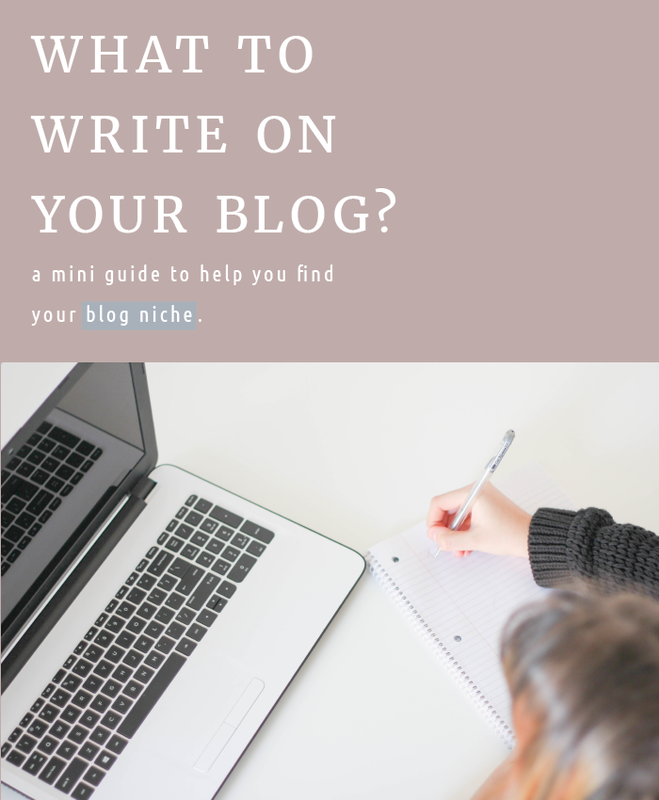 Do you have any tips to add or experience to share about how you found your niche and write regular blog post on? I'd love to know your story, share with me in the comments below.